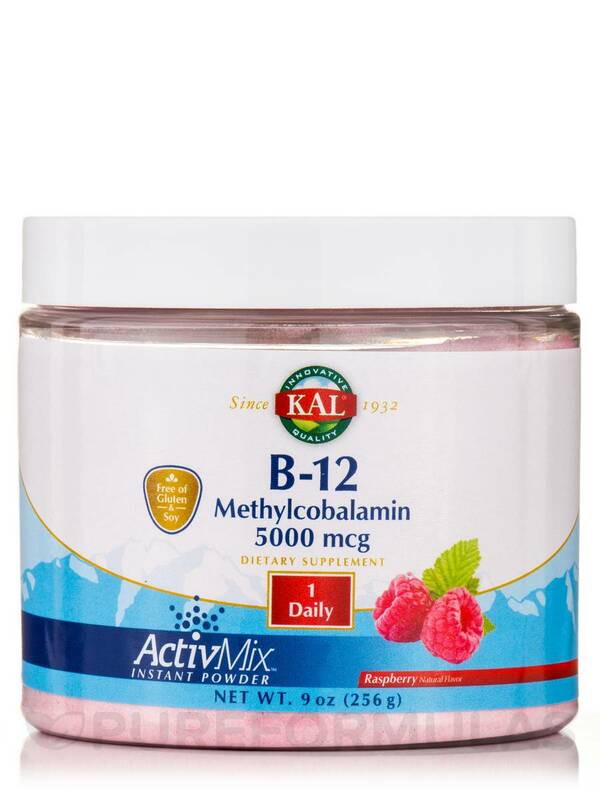 KAL® B-12 Methylcobalamin ActivMix™ powder provides 5000mcg Co-Enzyme Vitamin B-12 with a delicious natural raspberry flavor. Mix the instant powder into water or another beverage. 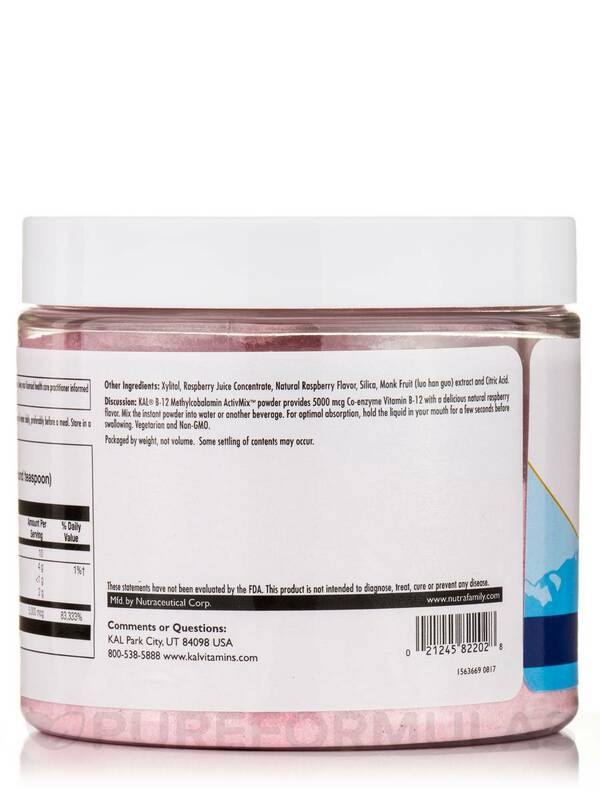 For optimal absorption‚ hold the liquid in your mouth for a few seconds before swallowing. 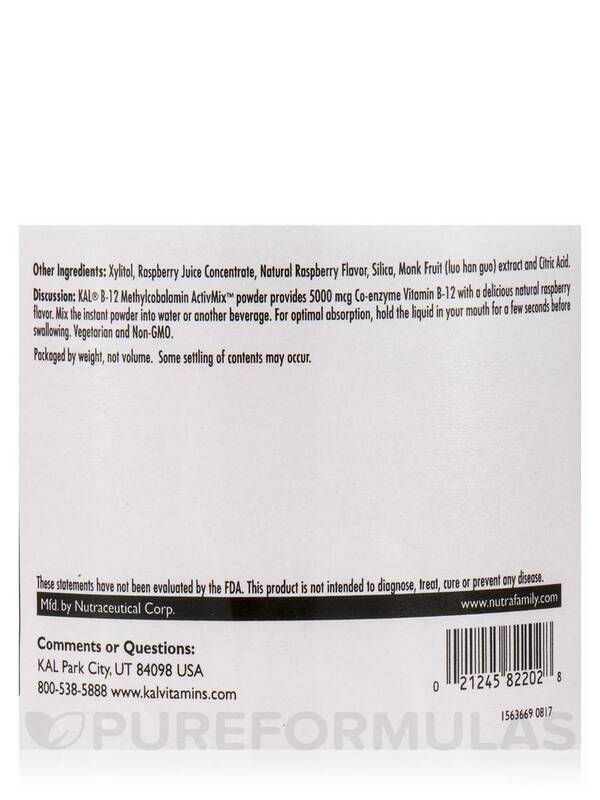 Other Ingredients: Xylitol‚ raspberry juice concentrate‚ natural raspberry flavor‚ silica‚ monk fruit (luo han guo) extract and citric acid. Gluten-Free / Soy-Free / Vegetarian / Non-GMO. Stir 4.3g (approx. 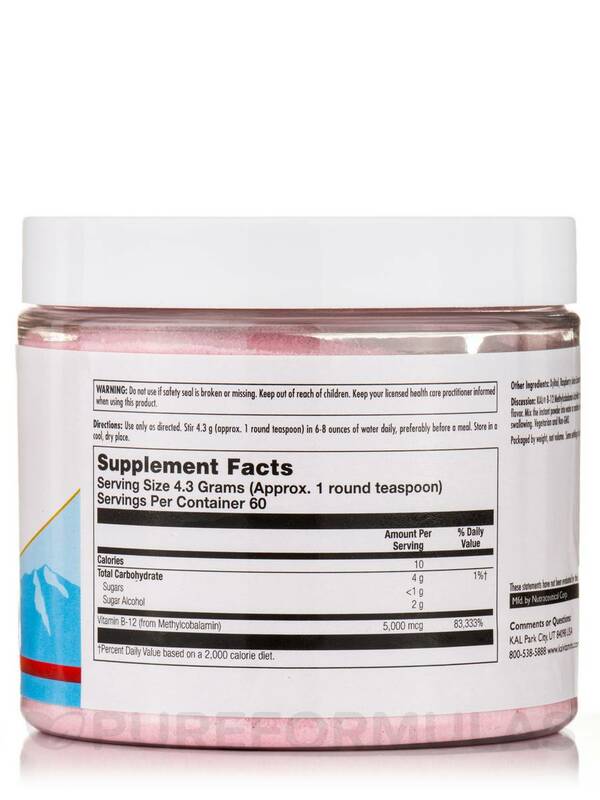 1 round teaspoon) in 6-8 ounces of water daily‚ preferably before a meal. 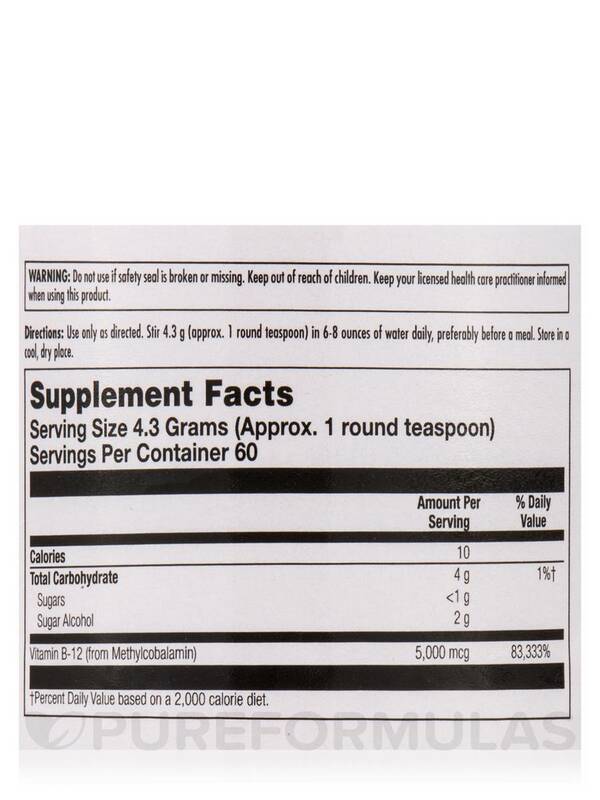 Notice: Packaged by weight‚ not volume. Some settling may occur.